Sign up for Tablet's newsletter. My husband is a palliative care doctor who helps people with serious illness make critical decisions, often at the end of their lives. Several years ago, I told him he had better learn how to make my family’s kasha varnishkes because they would be among my final requests. A combination of toasted buckwheat groats cooked according to the directions on the box, mushrooms and onions sautéed or, rather, steeped in copious amounts of butter, and fresh egg noodles cooked separately and mixed together in roughly equal proportions is about as much of a recipe as we’ve ever used. I like to pack the resulting kasha varnishkes in a casserole, baste it with broth to keep it moist, and bake until browned before serving alongside brisket or roast chicken—perfect to soak up the pan juices. The butter is not exactly traditional, nor is it kosher, of course, if the kasha varnishkes is (or should it be “are”?) served alongside meat. But the butter is the secret to my family’s recipe, which I have seen turn kasha haters into lovers in one bite—a mitzvah in the face of gastro-anti-Semitism, if you ask me. In a kashrut pinch, you can substitute freshly rendered chicken schmaltz or extra virgin olive oil for the butter, but the result will be less moreish. Kasha was the staple grain of peasants in and around the Pale, and for many it still tastes of poverty. For me, it tastes of riches. (Maybe it’s all the butter?) 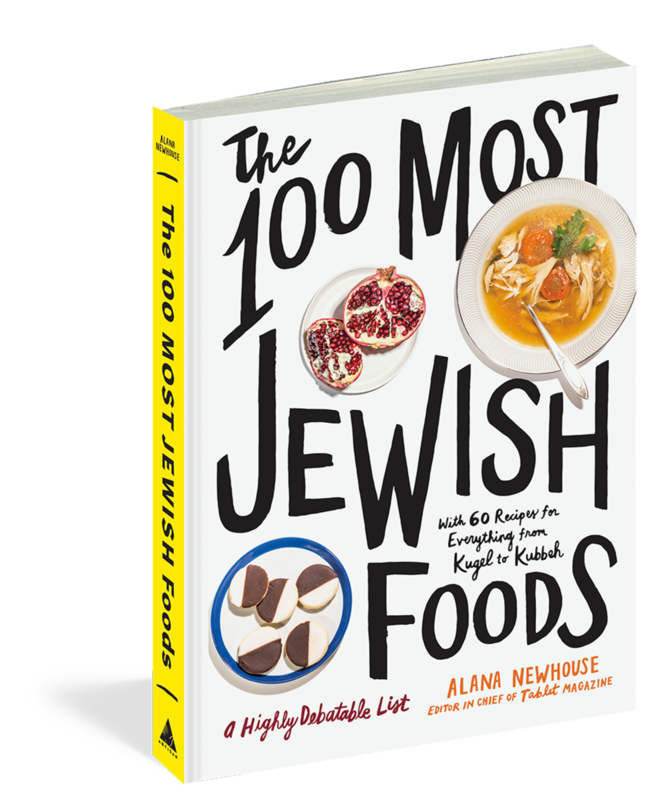 While writing my Jewish cookbook, The Mensch Chef, I tried researching the origins of the dish and its name. Despite several oft-repeated theories, Yiddish scholars at YIVO cannot confirm the root of the word “varnishkes.” Their etymologists do not support the popular explanation that it’s derived from the word vareniki—the Russian equivalent of Polish pierogi—and that it had something to do with scraps of leftover dumpling wrapper dough tossed into the kasha pot. From a frugal cook’s perspective, it’s a nice story, even if apocryphal. 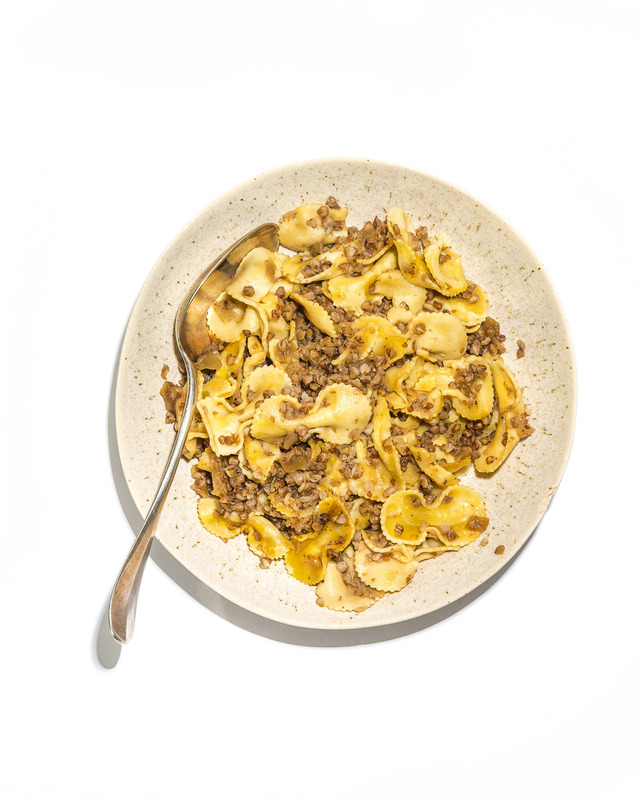 No matter, kasha varnishkes is delicious in singular and in plural. Mitchell Davis is the author of The Mensch Chef and executive vice president of the James Beard Foundation.